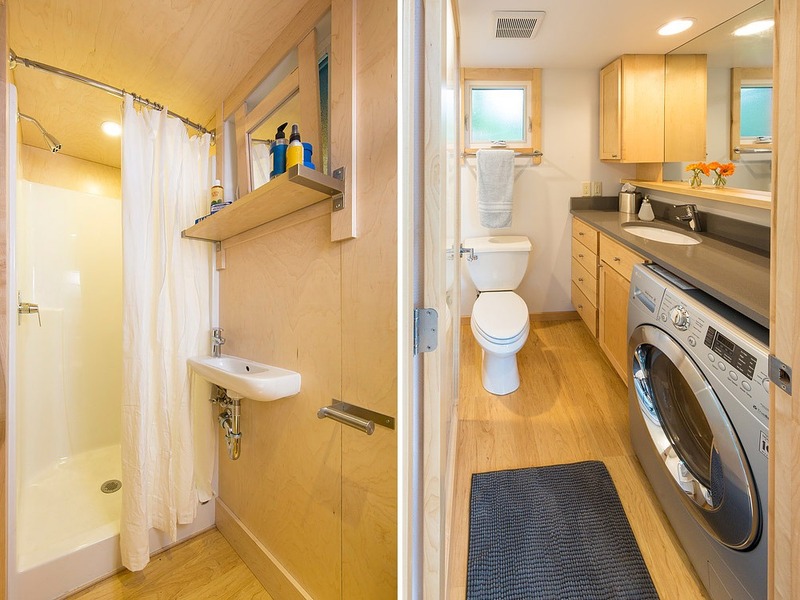 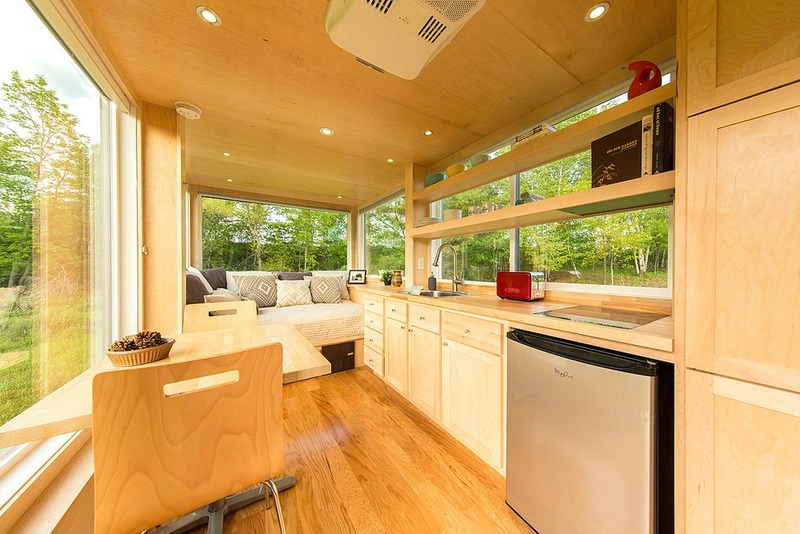 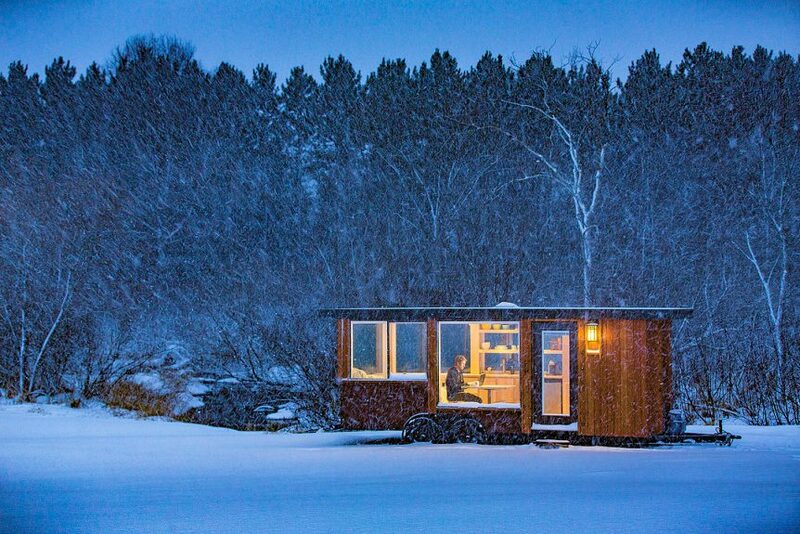 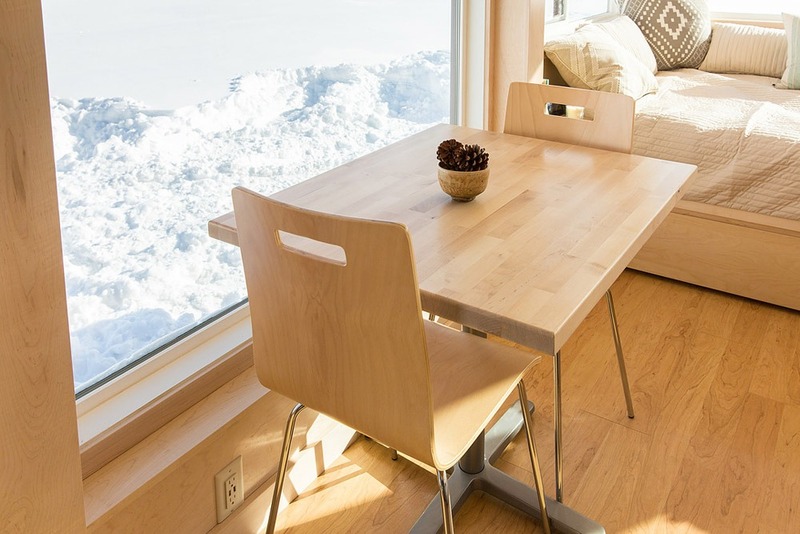 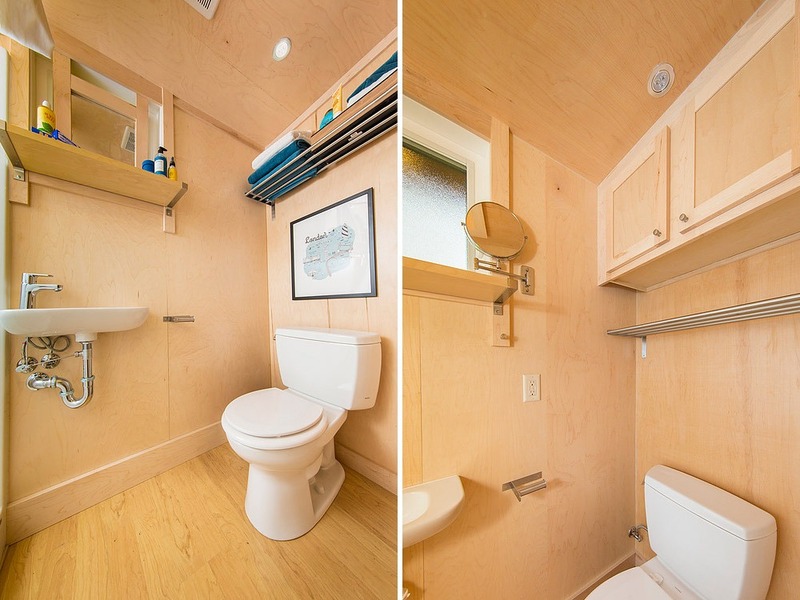 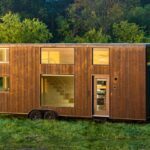 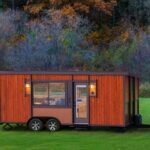 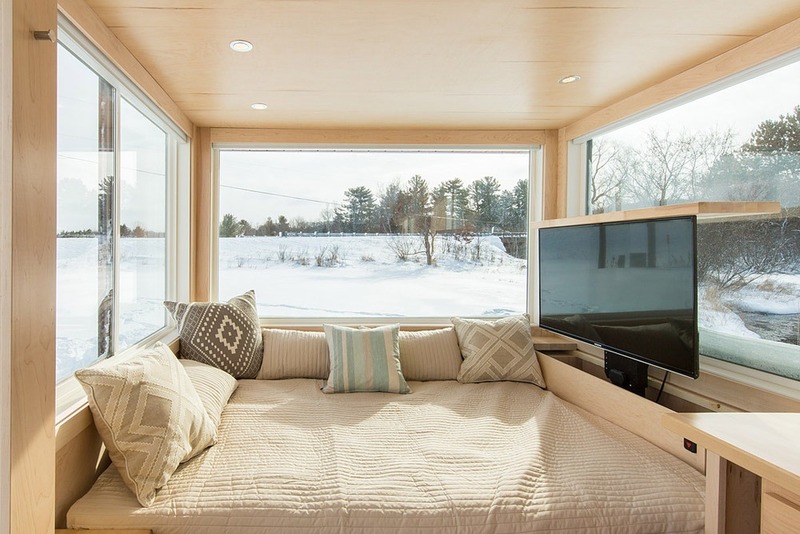 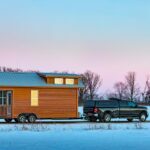 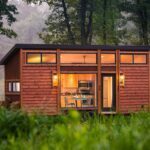 This beautifully designed tiny house by Escape Traveler features four large windows allowing for panoramic views of your surroundings. 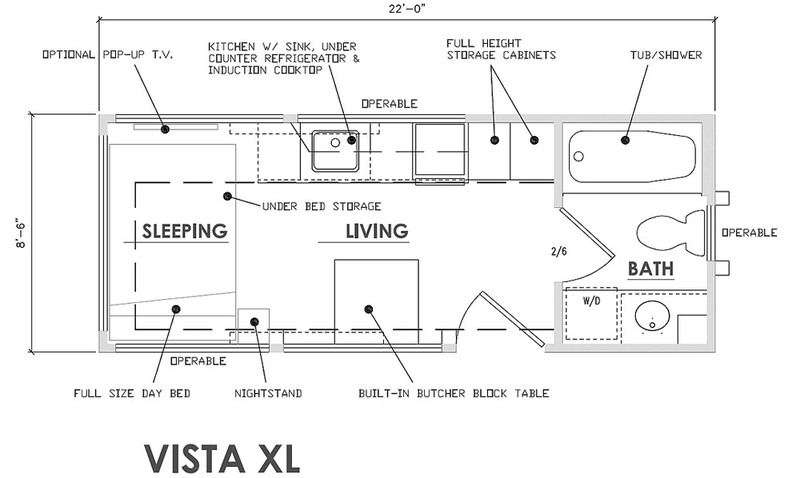 The Vista is 20′ long and totals 170 sq.ft., plus there is a Vista XL option that is 2′ longer giving you a total of 187 sq.ft. 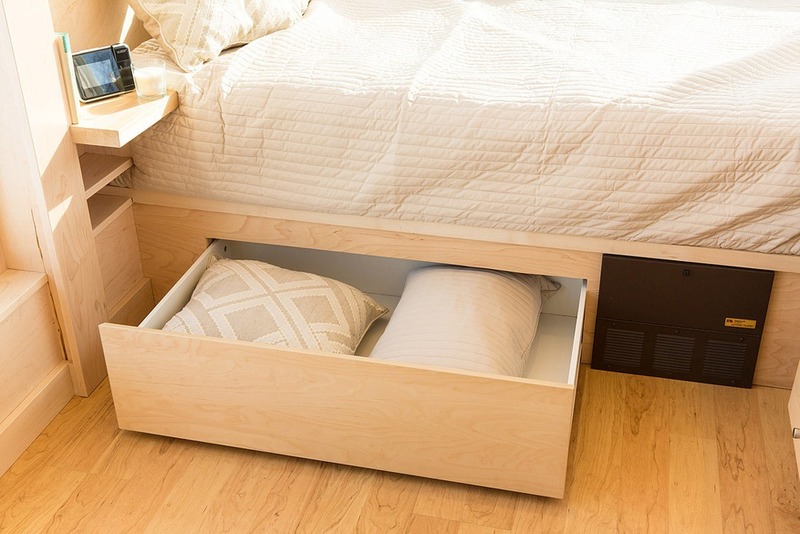 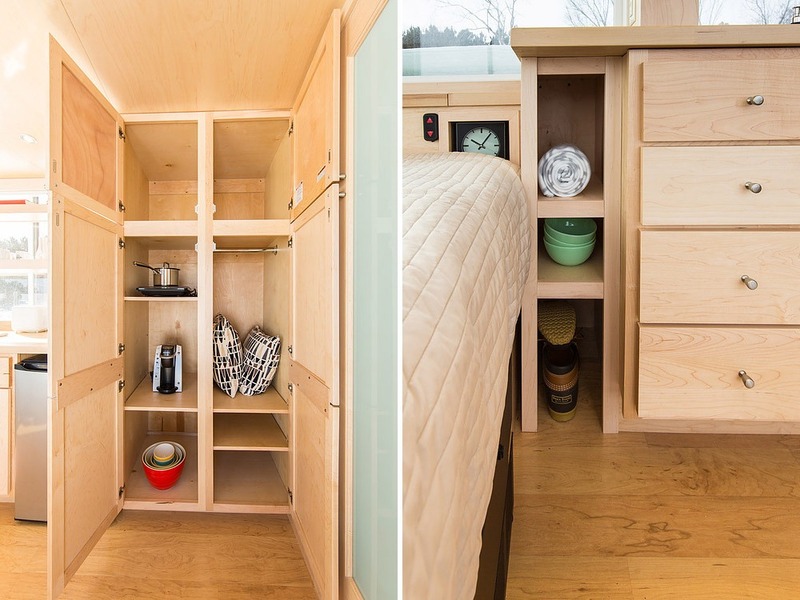 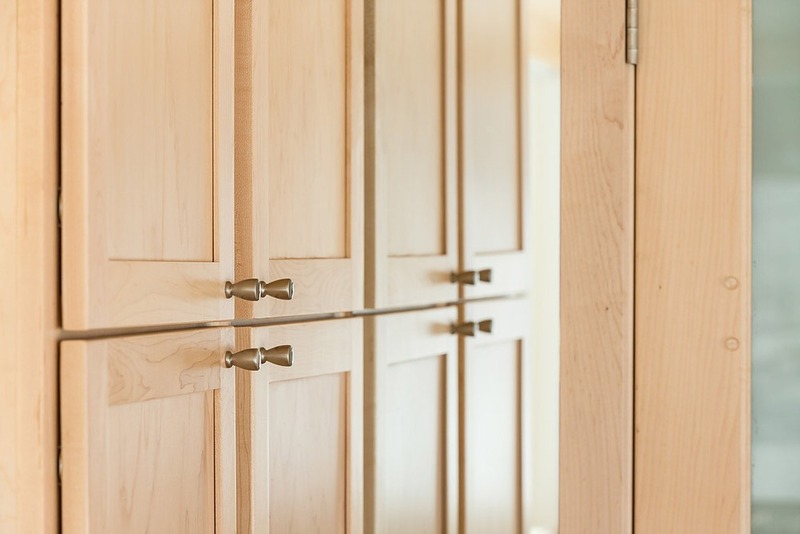 Pull-out storage under the bed, a large set of cabinets, and extra storage spots tucked away next to the bed provide plenty of storage options. 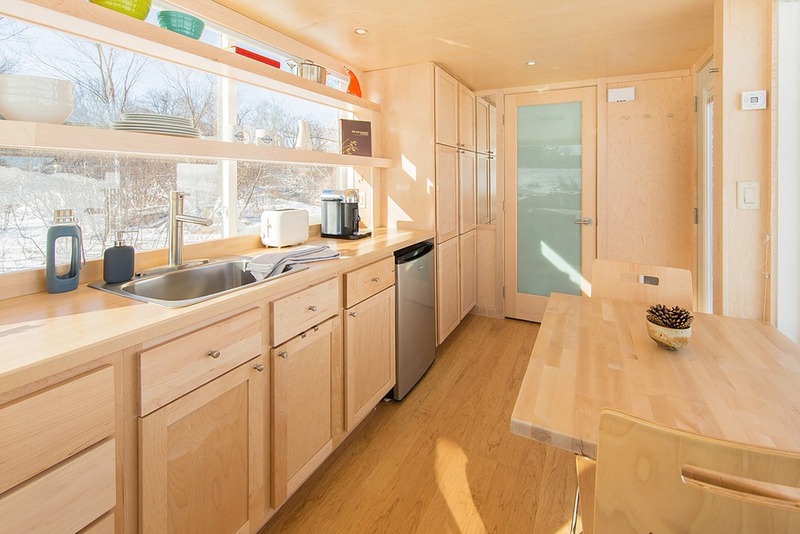 The kitchen includes maple cabinetry, a stainless steel sink and faucet, under-counter refrigerator/freezer, solid butcher block tops, upper shelving and a cooktop. 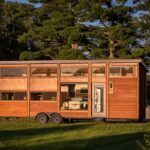 Solar power and off-grid features are available. 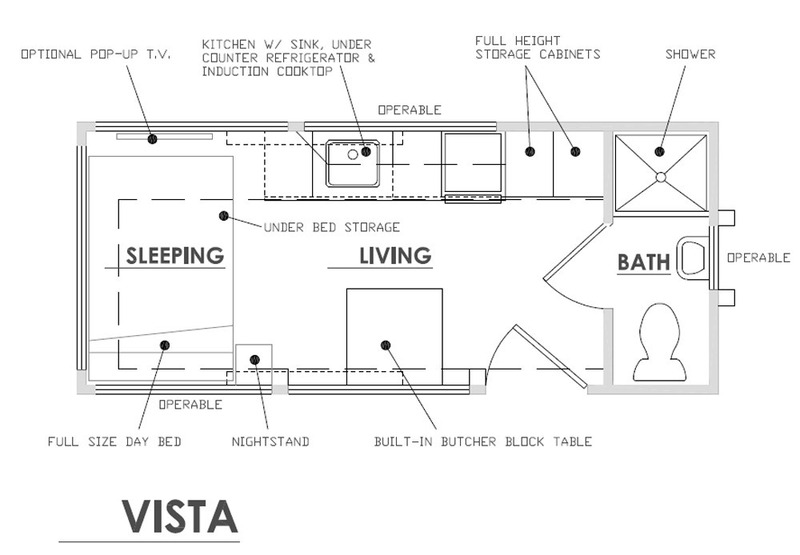 The base price for the Vista is $38,600. 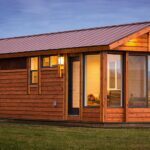 Also available from Escape Traveler: Escape One, Escape One XL, Escape One w/ Porch, Tradition, Getaway, Vintage, Vista, Vista Boho, Traveler, Traveler XL.